of the Robert Wood Johnson Culture of Health Prize. The Prize celebrates the strides communities have made to ensure good health flourishes for all. Announced this morning at RWJF headquarters in Princeton, New Jersey, the Lawrence community will received a cash prize of $25,000 in recognition of its commitment to building a Culture of Health. 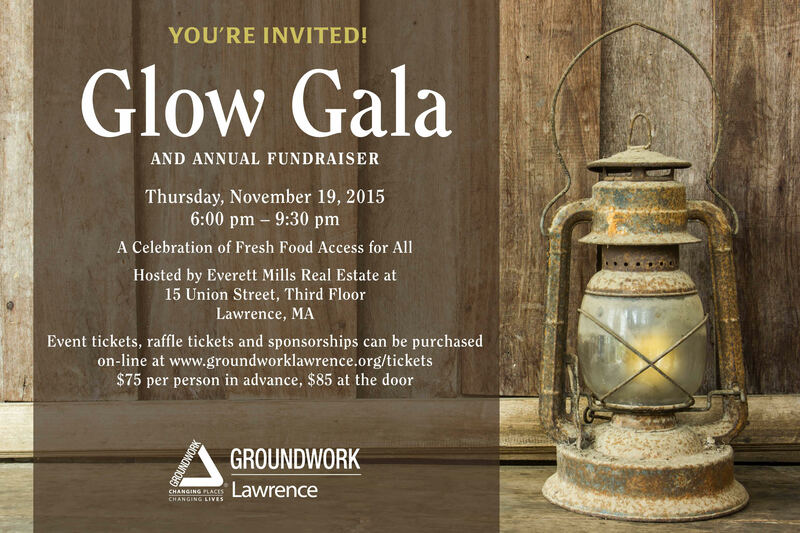 We hope you will join us on Thursday, November 19 for Glow Gala 2015, details below.This year we are honoring three partners who enable us to meet our mission of providing fresh food access for all and whose extraordinary efforts provide more fresh food to those in our community who need it. It's not too late to sponsor the event! For more information visit our Sponsorship Page or contact Amanda. 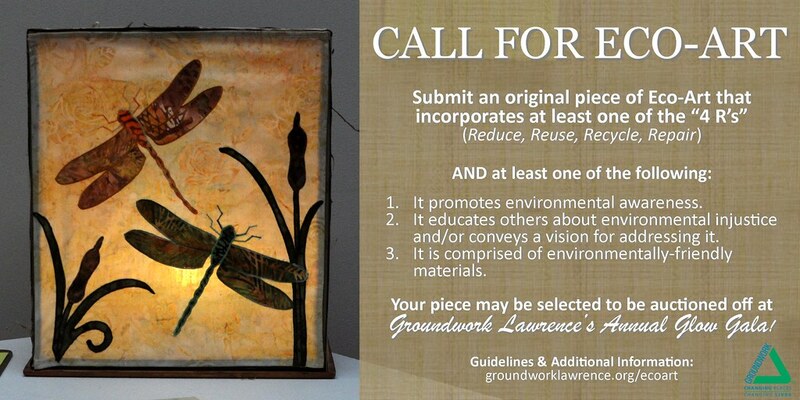 One More Week to Submit Eco-Art! This is a full-time AmeriCorps position though Social Capital Inc. (SCI) November 2015-July 2016. The Volunteer Outreach Coordinator (VOC) will develop and implement practices for effective volunteer engagement at their host site (Groundwork Lawrence), drawing on SCI's emphasis on relationship development and nurturing local social networks. This is a 12-month AmeriCorps VISTA position, November 2015 - October 2016. The Program/Outreach Coordinator in the DOI/VISTA program will serve to increase local support for land protection and stewardship, and to foster an ethic of community service and civic engagement among community groups and volunteers. The DOI/VISTA Program/Outreach Coordinator will assist GWL's Community Program Director and staff, who are responsible for all community initiatives including food programs, community outreach and events, stewardship projects and other related projects at GWL.